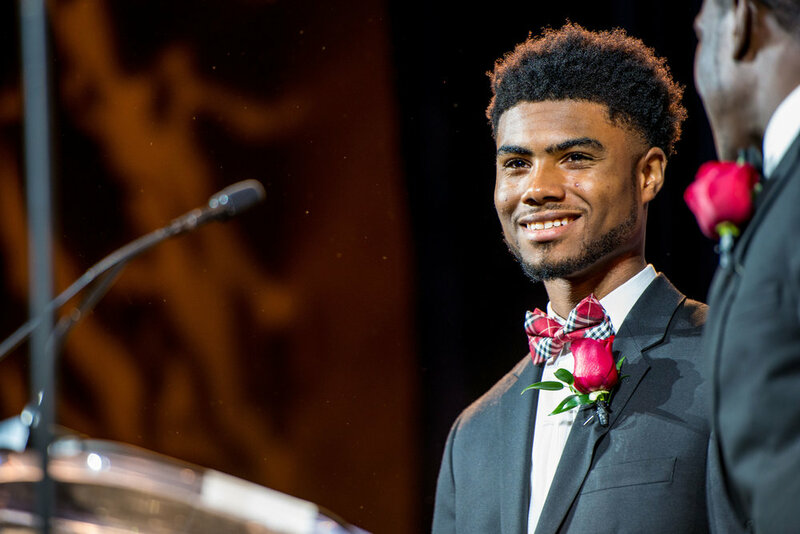 Apollo’s motivation to join JA Academy was fueled by the influence of his grandfather – a successful businessman who created a sustainable platform for himself and his family members to thrive. But when Apollo shared his interest of attending Banneker High School, the reactions he got were far from motivating or encouraging. Apollo’s willingness to try something new and different exemplifies his entrepreneurial spirit and drive to succeed. After taking that risk, he found that the hesitations his friends and family had about Banneker, and the JA Academy in particular, were overpowered by the culture of success that he became a part of. Hear Apollo and his classmates’ stories below. By: Steve Voorhees, CEO, WestRock. Originally published in Atlanta Business Chronicle. Our world is faster, more connected and more complex than it’s ever been. Today’s students are part of the first digitally native generation and are poised to enter the most technology dependent economies to date. Businesses will rely on this generation to help them seamlessly transition through new technologies and needs – some of which have yet to be imagined. So, why are companies continually concerned about an ever-growing skills gap in the upcoming work force? Because while we focus so much on technological advancements and its impacts, we begin to overlook the human element. The soft skills – effective communication, a solution-oriented mindset, collaboration – that are just as important than the technical ones. These are competencies businesses need individuals to obtain before they enter the workforce. With 90 percent of American children in the public education system, it seems that’s exactly where the groundwork should begin. How can we support our schools to effectively provide students with the resources and opportunities to develop these skills so they are primed to excel in careers of today and tomorrow? Across our country businesses are independently meeting to determine ways they can meaningfully engage in education. And, what I have discovered through WestRock’s most recent involvement in this space, is that schools and school systems are having the same conversations. As CEO of a Fortune 500 company with strong ties to Atlanta, as well as my longtime commitment to help students succeed in a global economy, I am confident that a solution is on the horizon and that it’s is being incubated right here in Atlanta. Developed as joint ventures with school systems, and strategic partnerships with the business community, JA Academy has the potential to systematically transform high school education. This approach integrates real-world business connectivity into the everyday learning experience to create a highly engaging and relevant learning environment. Transformation has already begun within various schools. Since 2015, the inaugural JA Academy class of students has demonstrated a dramatic improvement in engagement and, as a result, elevated academic outcomes. The students at JA Academy are building higher-order transferable skills like communication, collaboration and creativity. The unique JA Academy approach provides students opportunities to discover their strengths and passions, while exploring future possibilities. This was evident when more than 100 freshmen from JA Academy at Norcross High School visited WestRock to present their prospective solutions around communication, culture and employee engagement. The innovative approach being practiced at the JA Academy can transform our schools and empower students to graduate as the most knowledgeable, skilled and confident generation to enter the workforce. The first JA Academy class will graduate from Banneker High School in 2019. They will be the first cohort of students with four years of real-world experiences, business backgrounds and an unstoppable drive for success that will have prepared them to take on all the challenges of today’s economy. The second JA Academy at Norcross High School will graduate its first class in 2020, and the most recent location, JA Academy at Douglass High School will graduate in 2021. Implementation plans to expand the footprint to provide many more graduates from JA Academies will follow closely behind. We all know that Atlanta is unique – our community is marked by our ability to cross sectors, come together and unite efforts for the common good. And because of what’s taking place right now at the JA Academy, I believe Atlanta will soon have another title to be proud of: The hub for innovation in education. Junior Achievement (JA) of Georgia is bringing important career readiness experiences to students in metro Atlanta as part of AT&T’s signature education initiative AT&T Aspire. More than 50 students from Cedar Grove High School were assigned an AT&T mentor through the JA Job Shadow™ program, which gives students a firsthand glimpse into a professional career. JA Job Shadow™ begins in the classroom with three sessions to help students learn more about careers, including how to identify a career based on interests, steps in researching potential jobs and developing job-hunting skills like networking and interviewing. The students then will visit an AT&T corporate office to shadow an employee for half a day to see first-hand how education translates to a satisfying and successful career. During the 2015-2016 school year Junior Achievement and AT&T seek to impact more than 7,000 students nationwide. This could not be achieved without the support of AT&T mentors that are a part of the company’s Aspire Mentoring Academy program. Through Aspire Mentoring Academy, AT&T employees connect with students to help them discover their passions and potential. Aspire Mentoring Academy is part of AT&T Aspire, a signature initiative to promote student success in school and beyond. The collaboration between JA of Georgia and AT&T is a continuation of their joint commitment to providing authentic and relevant experiences that help young people in the community be in control of their future success. See what students and AT&T mentors who have completed JA Job Shadow™ have to say about the program: http://youtu.be/L3NWazI2_UM. AT&T Inc. is committed to advancing education, strengthening communities and improving lives. Through its community initiatives, AT&T has a long history of investing in projects that create learning opportunities; promote academic and economic achievement; or address community needs. In 2014, nearly $127 million was contributed or directed through corporate-, employee-, social investment- and AT&T Foundation-giving programs. AT&T Aspire is AT&T’s signature education initiative that drives innovation in education by bringing diverse resources to bear on the issue including funding, technology, employee volunteerism, and mentoring.